Although a number of us may identify as crypto-currency pioneers or trailblazers, it is without question that the industry as a whole is very young. The self-proclaimed “gurus” may know the ins and out of Bitcoin, but what about your average joe? Because the every-day person knows so little about crypto-currencies, it is easy for misconceptions and myths to spread like wildfire. As many traders are probably aware, these fallacies can then affect the already volatile market of crypto-currencies. So without further ado, here are the 10 biggest misconceptions and myths about Bitcoin. While it may be true that bitcoins are not “backed” by anything, neither is the US dollar. However, bitcoins are not a fiat currency either (that being a currency that is declared value from the government). So what really is it that gives bitcoins value at all? There isn’t a simple answer. Firstly, bitcoins can be viewed as an investment. Although there are differences between a bitcoin and a stock, each can be invested and traded. Supply and demand will ultimately fuel this aspect of bitcoins’ value. At the same time, bitcoins can–and are–used in other ways. Bitcoins, like any other form of currency, can be spent in exchange for goods and services.. Bitcoins are similar to the US dollar in the sense that there is a “faith” that is needed for them to be used. That faith maintains the “worth” of bitcoins, and will ideally continue to grow with stability and a growing sense of confidence in the industry. 2.) Because anyone (in theory) can make bitcoins, there will be heavy inflation. For those who are unfamiliar, bitcoins are made through the process of “mining.” Although this is an oversimplification, computers are actively attempting to solve complex math equations. When the answer is found, the individuals running the computers– or the “miners”–receive the bitcoins. Because the computers are competing against other computers, the every-day computer user would most likely never profit from attempting to mine bitcoins. Extremely fast machinery is needed to solve the equations, and that’s without mentioning the electrical costs to running those computers. So back to the question: why won’t there be heavy inflation? The answer is straightforward. The amount of available bitcoins to “mine” decrease by 50% every 4 years, and will eventually cap off at 21 million bitcoins. Therefore, the controlled supply will equate to a deflation effect–avoiding inflation all together. While it is true that bitcoins are practical and often used for illegal goods and services (let’s not forget the infamous Silk Road), they serve many viable–not to mention legal–functions. Bitcoin has been widely popularized as a form of remittance, as workers attempting to send money home are often slapped with high fees from companies such as Western Union. Although there are a number of countries that have made bitcoins illegal, it is few and far between. A complete list can be found here. 4.) Bitcoins are easily stolen and unsafe to hold. Although the industry has definitely had its fair share of disasters and thefts, such as the “disappearance” of over $450,000,000 worth of bitcoins on the Mt. 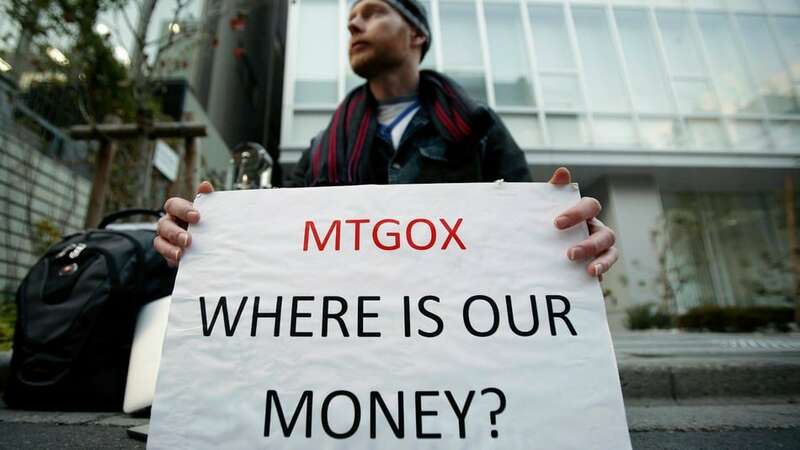 Gox bitcoin exchange, bitcoins aresafe to hold and use. Just like any other currency, there are risks that a person takes. Just like money can be lost, bitcoins can too. That is why passwords to online bitcoin “wallets” should be written down somewhere offline, and offline wallets should be backed up. More information can be found here on how this is done. 5.) Bitcoins create more opportunities for criminals and thieves. In life, there will always be people who attempt to take advantage of others. Just like credit cards and other payment systems, bitcoins can be abused and stolen. With that being said, it is much easier for a criminal to steal credit card information than bitcoins. As long as one’s bitcoins are securely stored, he or she is not at any risk. 6.) The industry for Bitcoin has peaked; there is nothing left to offer. While the case may be made that crypto-currencies have seem astronomic growth in the last few years, the general consensus is that the industry is in its baby stages. Just like the 90’s boom with the internet, the best is yet to come. 7.) Bitcoin is a pyramid scheme. The answer is straightforward here, so explanation is short. A pyramid scheme works by having a single main company or organization, which in turn promises profits for the investors. Bitcoin, however, has no authoritative body to do that. It is a decentralized currency. 8.) Bitcoins are nearly impossible to use. Although this was true in its very early history, vendors and websites accepting bitcoins has grown exponentially–and will continue to do so in the future. Through websites like cheapair.com that allow the consumer to purchase flights with bitcoins, or overstock.com which accepts bitcoins for a wide range of goods such as furniture or watches, the ways to use bitcoins is rapidly expanding. 9.) The government will shut down Bitcoin. As previously touched on in #8, countries have taken different approaches to crypto-currencies. While this is true, it is a complete myth that Bitcoin will be shut down by governments. Firstly, it would b a next to impossible to do. The time, money, and effort to “shut down” the industry would be unpractical, so therefore there is no serious threat for Bitcoin to be at risk. 10.) Bitcoins are difficult to purchase. Similar to the misconception that bitcoins are nearly impossible to use, there is also the myth that they are extremely difficult to purchase. Bitcoins can be easily purchased with credit cards through services such as Virwox or Trucoin. 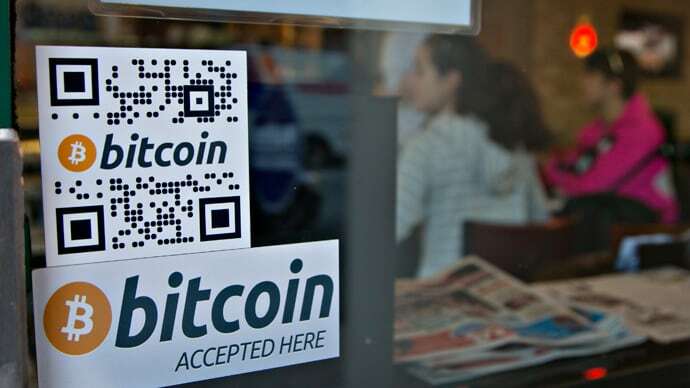 There has also been an increase in popularity of bitcoin ATMs, which allow consumers to purchase bitcoins with cash. Bank transfers are also a viable option for those looking to purchase bitcoins. Money orders, gift cards, and personal checks can also serve as ways to purchase bitcoins. The complete list of ways can be found here.